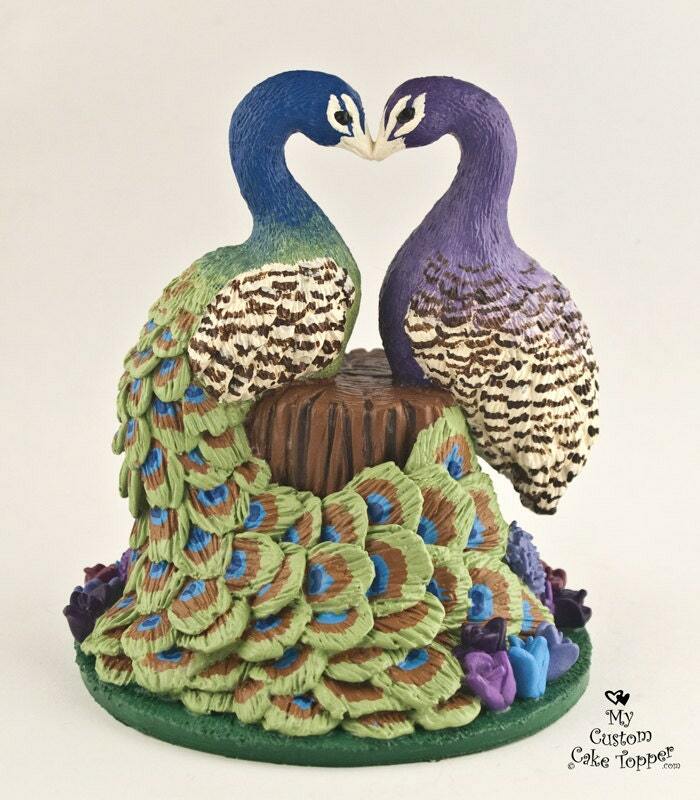 Peacocks in love wedding cake topper. 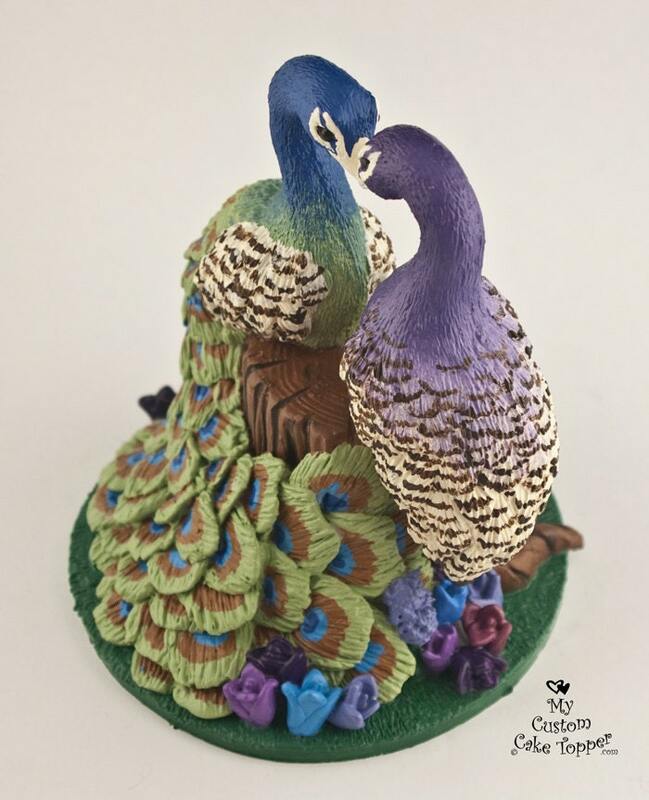 These elegant peacocks form a beautiful heart! 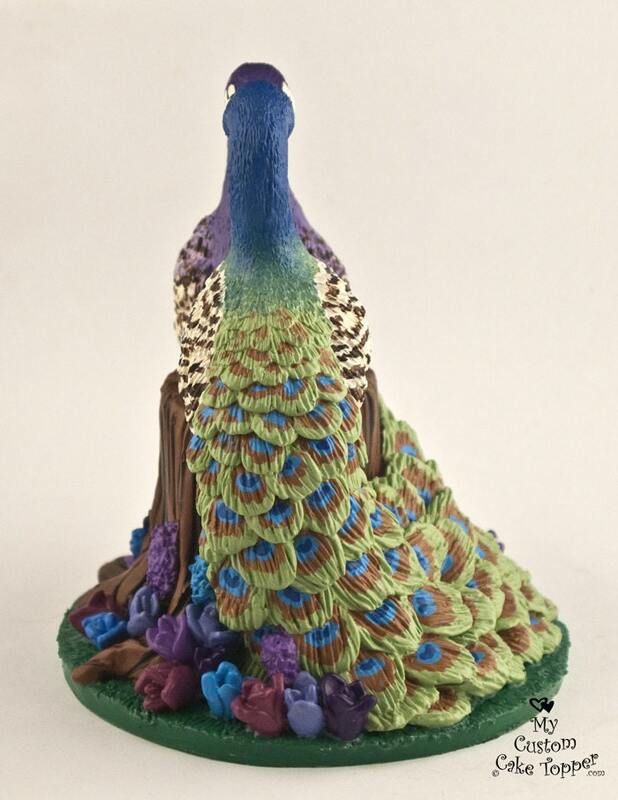 You can pick a different color for the peahen's head and neck. You can also pick different flowers! They are approx. 5.25" wide x 5.75" tall. Every sculpture is made to order and is unique, so it might vary slightly from the examples shown. 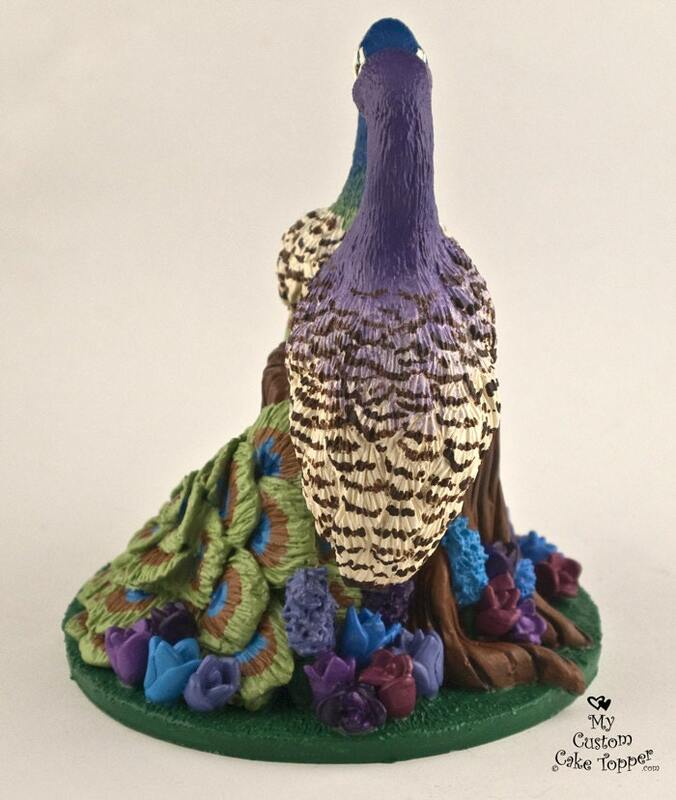 These beautiful peacocks are cast from my original sculpture. 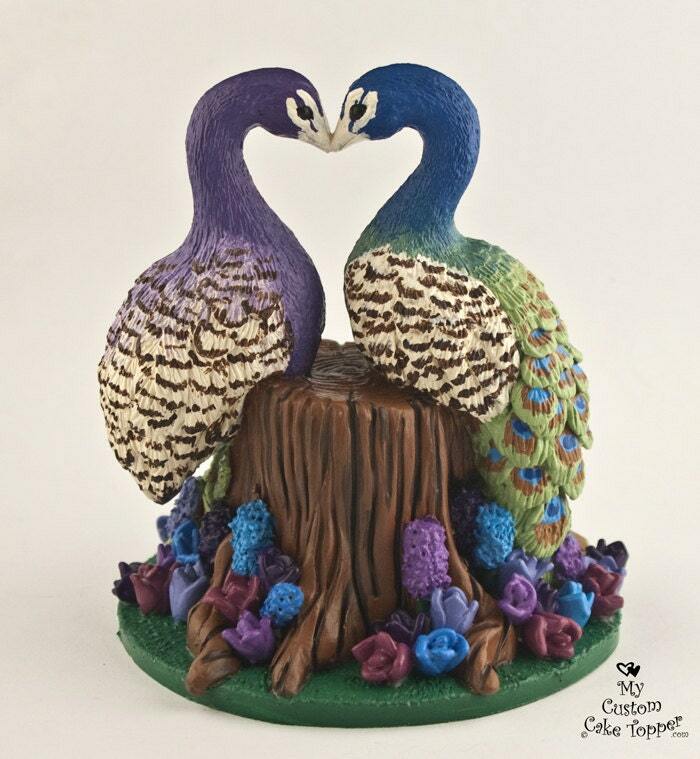 The cake topper looks amazing. And fits our theme exactly. Thanks again.